Insights and learning from leaders in college athletics and business. Leaders in and outside of college athletics provide parallels for learning about leadership. In my chat with Bill Tierney, Hall of Fame lacrosse coach of the Denver Pioneers, he said “you can’t walk by a piece of paper without picking it up”. He talks about the little things that one does, the sacrifices one makes, having a sense of discipline. Yet, when asked about his formula for success, Bill said “there isn’t one particular magic bullet”. Bill has a special way of sharing what led him on his career journey of coaching. It was interesting to listen to Bill reflect on what has been important to him. For example he had a passion for sports growing up. He found coaches to be inspiring so much so it was a catalyst for his amzaing career. His accomplishments speak for themselves: Hall of Fame inductee, only lacrosse coach to win national championships at two different institutions: Princeton, 1992 and Denver, 2015. And the list goes on. Listen to Bill talk about the importance of love, being humble, a team’s self-governance, adherence to team culture and pride. I was really struck by how Bill thinks about evaluating recruits. Skill of course, passion yes, but what rose to the top for me was how one acts, how he engages you i.e. looking you in the eye, and finally, a smile on his face. The human side of great leaders like Bill tell you a lot about him and how he leads. Remember, next time you see a piece of paper on the ground, pick it up. Steve Flink, by all counts, is tennis' greatest historian. He knows what it is to put you in the moment. His monographs, The Greatest Tennis Matches of the 20th Century and The Greatest Tennis Matches of All-Time, make for wonderful reading as if you were at Center Court Wimbledon. At age 12 he moved to London with his Dad. From there, it was being exposed to the world of tennis in different countries, being introduced and working with famous chroniclers and writers like Bud Collins. And so it came to be, Steve has never looked back. And the tennis world is fortunate to have him. CBS Radio, NBC, ABC, CBS, ESPN and MSG all have had Steve do commentary and statistician work. In 2017, Steve was elected to the International Tennis Hall of Fame in the Contributor Category, along side tennis greats Kim Clisters and Andy Roddick. What an honor. As we often talk about, leaders exhibit a sense of curiosity. Steve said "Knowing what's around the corner" is what keeps him going today. He's always learning, giving him fresh insights in to players, matches and tennis lore. When Steve talks about the great players like Federer, Evert, Connors, Arthur Ashe, Nadal, they are great champions because of their character, their willingness to commit themselves to something they are deeply passionate about and believe in. I can say the same for Steve. He's a leader, that exhibits passion, belief, authenticity and curiosity. Sounds like a recipe for being the best he can. Steve Sadove, the former Chairman and CEO of Saks, the iconic luxury retailer, on paper may not have been the kind of executive Saks you would think would have chosen to take its helm. His path came from a distinguished career in marketing and consumer products with increasing leadership positions at Kraft and Bristol-Myers Squibb leading worldwide businesses. So if you would ask Steve how did he adapt to the very different, challenging world of retail, with no experience? He'd tell you it was his self-awareness of what he’s not – a deeply experienced merchandising executive. It's that careful understanding about who Steve is and what he brings to the position which I believe enabled him to be an informed, insightful and successful leader. Steve has a commitment to his beliefs in developing people. That keen insight underscores his many talents and skills sets. Yet ask him what his role was, he'd say, "to lead, define and create a culture and a winning culture through shared objectives. As an alum of DIII Hamilton College, a former tennis player and current Chairman of the Board of Trustees there, Steve is sensitive to the parallels of leadership learning in collegiate athletics and the business world. He believes the heartbeat of great companies just like athletic teams is knowing that cultivating the growth of people is central to success. Steve said about creating a culture, "all companies and organizations have culture. Yet, just asking the questions of various stakeholders about how does our culture serve the organization is the starting point. Take a moment and listen to my chat with Steve. He's curious leader with a learning mindset committed to a culture of winning through success, fulfillment, and happiness of people. Keri King, the new CEO of Triple Crown Sports, shares his insights about taking over the reins of his 30+ year family business from his dad, Dave King. Triple Crown has transformed youth sports by producing premium destination sports events in basketball, baseball, softball, volleyball and now lacrosse and collegiate level basketball tournaments in Cancun as well as the women's pre-and post season NIT. My conversation with Keri centers around him sharing insight in to their organizational leadership, and positioning their company for growth in the years ahead. Something has not changed…and that’s delivering their “Why” …delivering the best athlete and family experience. High quality, embraced through their "founder’s mentality" of "do the basics well". - Change their culture based on "organizational conversations" through their 4 I's: intimacy, inclusion, interactivity, and intentionality. - Delivering on their brand promise through a thematic goal, "associates first, customers second"
Take a moment to listen to my chat with Keri. Curiosity and his learning mindset are infused in Triple Crown’s culture. It will be fun to watch Triple Crown grow in this new chapter! The City Parks Foundation, founded in 1989, is one of the oldest and largest citywide parks organizations in the country. 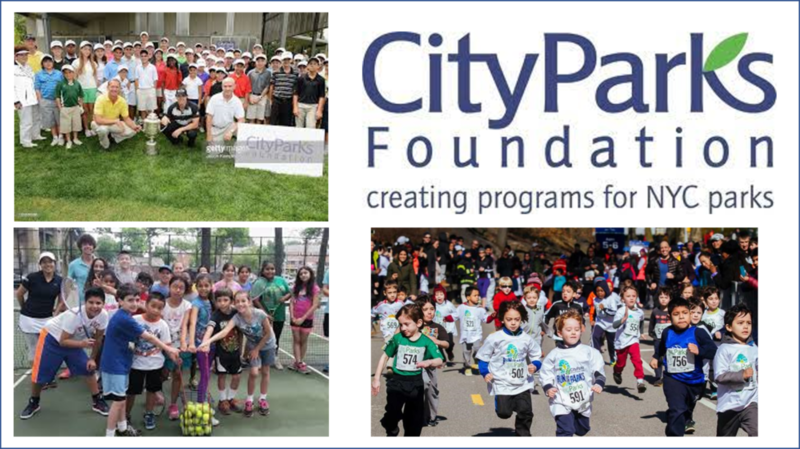 City Parks Foundation in NYC is one of the oldest and largest citywide parks organizations in the country. They make city parks a vibrant center of community through free sports, arts, community building, and environmental education throughout all five boroughs. They touch the lives of thousands of New Yorkers every year. I recently had the chance to chat with Heather Lubov, Executive Director and Mike Silverman, Director of Sports. To say the least, what they do is inspiring, rewarding and provides an amazing canvas for people of all ages to participate in their free programs in the city parks. Heather and Mike are two people who believe it's their eyes and ears that are central to their mission. They revisited their mission and fine-tuned what it is CPF does. They arrived at two things that represent their guiding principles: "joyful" and "of the community". These two principles provide a vast umbrella under which people and their communities thrive. Their sports programs reach 12,000 young people annually so they have touched the lives of hundreds of thousands of New Yorkers. Heather said it well, "Don't lead from your chair". She attends 100's of their events because it's where the learning is and demonstrates that CPF is "of the community". Listen to Heather and Mike. You'll enjoy it. Darrin Steele is a busy person. His team is off in February to the Winter Olympic Games in PyeonyChang. Yet, he took the time to chat with me. It was evident he has a strong commitment to understanding people. 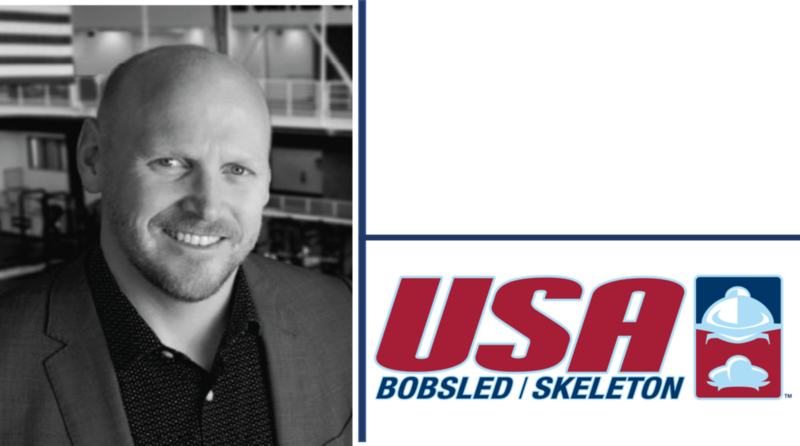 His experiences at The Home Depot and as a former Olympic bobsled team member in 1998 and 2002 have helped to shape his leadership and are a big part of what makes his "family work”. - Understanding and listening to people to understand their drivers and to be able to tap in to them. - There's a delicate balance of performance and culture. What do we want our team to look like? Of course, high performers/high belief in culture. Unfortunately that's not always the case; it's the others who do not show up that way and how do they align with team values and beliefs. - They've had to deal with the sudden, tragic death of Steve Holcomb, their veteran team leader and how the team and organization has responded. Darrin says, "we're deeper and more competitive now". As Darrin said, "while it seemed shallow to think about our sport, they "set" permission to be happy again and continue Steve's legacy of greatness." - Strategy isn't always apparent to athletes. Darrin talks about his working experience at The Home Depot, learning how to uncover opportunities and the parallels for athletes. - Learning from failure puts us in a position for continued improvement and success. Don't be risk adverse. Take a moment to listen our chat. There’s much to be gleaned from Darrin’s insights in to life, performance at the highest levels and the ingredients for individuals and teams to achieve success and fulfillment. The leader in Darrin is evident in such a self-effacing way. Wishing Darrin and USA Bobsled and Skeleton safe travels and success. 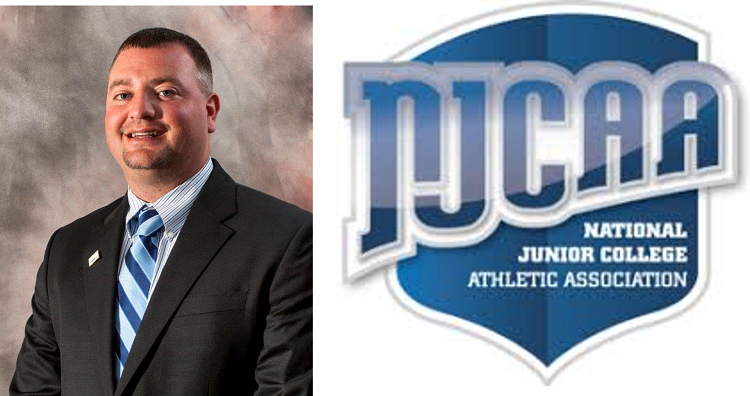 I had the pleasure of chatting with Chris Parker, the new Executive Director of the NJCAA, who started in July of this year. Listen to Chris here. Chris brings a wealth of experience and knowledge to his position. We covered many leadership topics from both a personal and professional standpoint. He lives by a listen-first mindset to really connect and understand people. He surrounds himself with great leaders to better inform him, and help drive forward the NJCAA mission of promoting two-year college athletics. Take a moment to get acquainted with Chris. It’s an exciting time at the NJCAA, where athletics, education and leadership converge. I recently had the opportunity to chat with Jay Martin, Head Men’s Soccer Coach at Ohio Wesleyan, the winningest men’s soccer coach in college athletics.